The portable storage containers in Los Angeles that you can rent from Haulaway Storage Containers come in a wide variety of sizes. 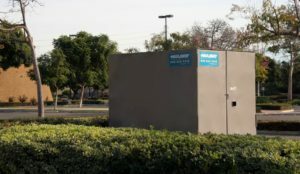 You many have seen these storage containers around the city at various stores as part of their storage during the busy season, but Haulaway provides container storage for residential customers as well. This can be accomplished with some of their roll off containers that come in sizes that are perfect for you to make use of at home so that you have the right storage for your needs. When you want the right storage containers for use at your home you want the container storage that will give you the security you need. These portable storage containers in Los Angeles from Haulaway Storage Containers come in three sizes as roll off containers that give you the added storage space you need. These three sizes are 26 feet, 21 feet and 10 feet in length. All of these containers are eight feet wide and seven feet high with double doors on both ends (excluding the 10 foot units) to ensure you have the access you need from either side. You can secure these storage containers with your own lock to keep them secure. This allows you the ability to have the containers storage you want when you’re remodeling your home or need a place to store valuables during a transition. These portable storage containers in Los Angeles are perfect for both business and personal use and can be delivered or picked up with as little as only one day of notice. Haulaway Storage Containers works to make sure you have the service and experience you want from the company providing you with the added storage you’re looking for at your home.